We don’t have to tell you there’s a lot to love about fall. Football is back, everything is pumpkin flavored, and the air gets crisp. When seasons change in the real world, cool air blows in and leaves change colors right before your eyes. In a screen printer’s world, the tank tops turn to t-shirts and the t-shirts turn to jackets. Making you look good is our passion. It wouldn’t be right for us to let you run around in the cold wearing your summer tank tops, now would it? So today, we’re pulling out those warmer clothes and sharing our five faves for fall. 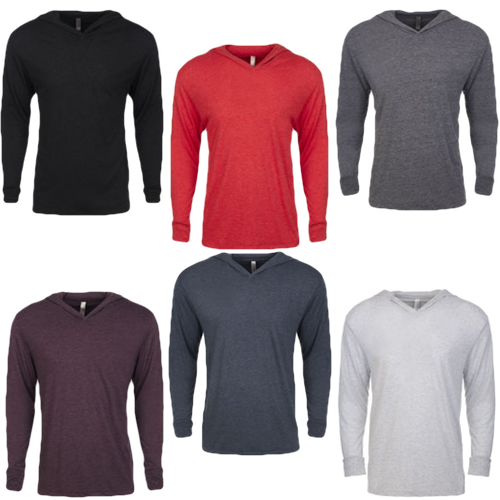 Long sleeve T-shirts are a staple in every fall wardrobe. Whether you wear them in the yard, around the house or running errands, chances are you have at least a few in your closet. 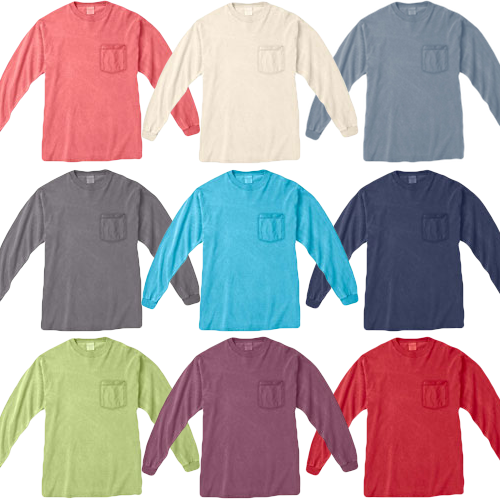 Comfort Colors garment-dyed cotton tees wont lose their shape or softness in the wash, so you’ll always get that relaxed look and feel you love. WIND JACKETS When the wind picks up, we pull out our Charles River jackets. These lightweight jackets are perfect for blocking you from the wind and the rain without weighing you down. A hood and convenient pockets make these jackets perfect for athletic events and other outdoor activities. Personalize yours with custom embroidery! Keeping warm is easy with beanies in every color. 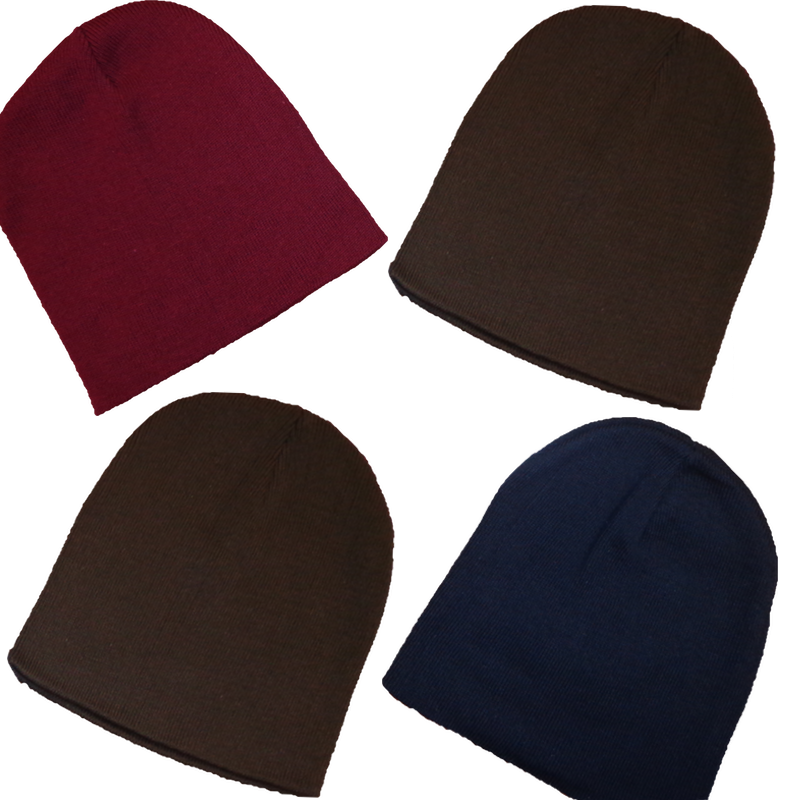 Beanies can be embroidered right here in our shop, so add your logo or your name for a personal touch! Scarves are fashion’s secret weapon. They can be used to dress up or dress down an outfit. They provide warmth without ruining a hairstyle. Embroider your team’s name on a scarf and you have the perfect accessory for cold games in the stands! These grey scarves are light weight and super soft, which makes them perfect for everyday wear. Customize yours with a monogram, name or logo of your choice! Light weight hoodies are our final fall fave for good reason! They’re forever soft and provide the perfect amount of warmth as the weather transitions from hot to cold. Screen printed hoodies are the most comfortable way to represent your businesses, brands and organizations, we guarantee it! Posted in Embroidery, Online Store, Screen Printing, Tips and tagged as Cornerstone Impressions, Embroidery, fall, jacket, long sleeve, screen printing, t-shirt, top five for fall.